However, Yannai did compose a whole slew of piyyutim for the holiday of Passover itself: Rabinovitz’s edition of Yannai’s piyyutim includes two works written for Shacharit of the first day of the holiday; an additional two poems for Musaf or Aravit, which riff off of the Song of Songs; and another work written for the Sabbath of Chol haMoed. Here, I’d like to share some notes on his “first” composition for the first day of Passover. 1) The reading for the first day of Passover in the Palestinian tradition was the section beginning with “שור או כשב,” Lev. 22:27. For Yannai, this meant that he had to connect some relatively esoteric sacrificial laws- e.g., the need to wait until the animal’s eighth day before bringing it as a sacrifice, and the prohibition against sacrificing a parent and its offspring on the same day- with a discussion of the holiday at hand. Yannai manages to do so by culling nicknames from these verses as he “songifies” parts of the Exodus narrative, specifically the section on the plague of the first-born. In Yannai’s idiom, the Israelites become the “שְׁוֹמְרֵי מִצְוַות שׁוֹר וְכֶשֶֹב וְעֵז כִּי יִוֶלֵד” (line 5) and the “תְּמֵידֵי מִלִּשְׁחוֹט מוֹלִיד וְנוֹלָד בְּיוֹם אֶחָד” (line 18). While this reasoning seems most natural, one would be hard-pressed to find it used by the rabbis. 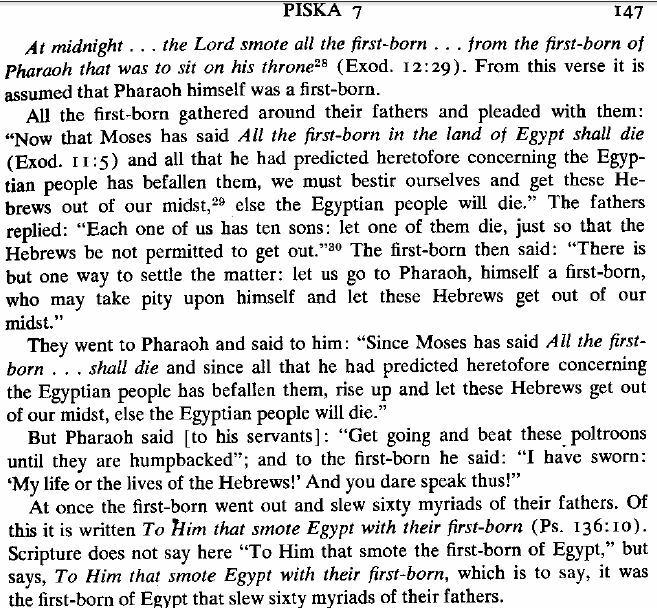 Louis Feldman, in an article comparing the rationale for the tenth plague offered by the rabbis and others, cites a rabbinic tradition from the fifth-century Pesiqta de-Rab Kahana according to which the first-born Egyptians killed some 600,000 of their own in response to Pharaoh’s refusal to release the Israelites and avert their deaths. This seems to be one of the few “justifications” for the deaths of the first-born found in the early rabbinic corpus, and it doesn’t really even seek to do that explicitly. Tellingly, the rabbinic traditions surrounding the tenth plague actually do more of the opposite, enlarging the number of those killed and creating an image of God as more powerful. Adding to those mentioned by the Torah, the rabbis include: first-born daughters, first-born children of second marriages and of illegitimate relationships (one is reminded of Abdu, the protagonist of an early Etgar Keret story…), the oldest of every family regardless of whether or not he or she was born first, the first-born children of non-Egyptians living in Egypt- even first-born children who were already dead. The rabbis, Yannai, and the anonymous author of this Aramaic poem all view the tenth plague more as a punishment for the Egyptians than as a way of convincing Pharaoh to free the Israelites. Yet unlike the rabbis, the poets rationalize the punishment by showing how it was met out measure-for-measure. It is worth highlighting how the Aramaic poem goes as far as depicting God as not necessarily even wanting to punish the Egyptians in such a manner: God says that he will punish the Egyptians if (“אין”) Pharaoh throws the children in the river. Hanukkah is almost over and it is time to publish the “answers” to the quiz. I put answers in quotation marks since it is not always clear what the payytan meant or was referring to, but this is the case, I would argue, with almost every text. Before proceeding I would like to thank those of you who responded to the quiz and brought up many interesting (and “correct”) answers. Special thank goes to those who commented that there are indeed more halakhic piyyutim than one would have assumed from my brief introduction. Most significantly are the Az’harot (=warnings) piyyutim for Shavuoth, as Shamma Boyarin pointed out on our Facebook page. Below are some short comments concerning each stanza of the piyyut; the comments are taken from my forthcoming critical edition of the piyyutim of the Qiliri for Hanukkah and from the critical edition of the piyyutim of Pinhas Hacohen by Shulamit Elizur. How does one bless? On the first day the one who lights says three blessings, and the one who sees [the candles] says two. So what we have here is not a reference to the Havdalah or the Hallel blessings as some suggested. Stanza 2: The reference here is to the prohibition to move the candles once they were lit. Stanza 3: A clear reference to “נר איש וביתו” from Bavli, Shabbat 21b. Stanza 4: Here we do have a reference to the Havdalah and the prohibition of using the Hanukkah candle for that purpose. Medieval sages quote the Yerushalmi to back up this ruling, although it is absent from the version that we now have. It is forbidden to bless over the candle until its light is sufficient; Rav Yehuda in the name of Shmuel: when women could spin in its light. Stanza 6: A reference to Bavli, Shabbat 21b: “והמהדרין נר לכל אחד ואחד”. Stanza 7: “מעש” refers here clearly to the famous story (“מעשה”) about בית שמאי ובית הלל in Bavli, Shabbat 21b. Stanza 8: One reader noted the similarity to the talmudic phrase concerning the candle of Havdalah “אין מברכין על הנר עד שיאותו לאורו” (quoted above). Indeed, it is attested in our context in Masekhet Sofrim: “ואם הדליקו ביום, אין ניאותין ממנו… שכך אמרו אין מברכין על הנר עד שיאותו לאורו”. Stanza 9: Again, according to Masekhet Sofrim one should wait until the wick will be entirely consumed and, in addition, it is forbidden to use an old one. Stanza 10: Here the prohibition to light one candle from the other is hinted; as it is appears in Bavli, Shabbat 22a: “רב אמר, אין מדליקין מנר לנר”. Stanza 11: Nothing halakhic here but the reference to the candles of redemption brings to mind one of my Hanukkah posts from last year. Next year, God willing, we will have another Hanukkah quiz, this time with a genuine piyyut by Pinhas Hacohen. See you then! Hebrew liturgical poems (piyyutim) only rarely relate to halakhic matters. However, we do have one intriguing piyyut for Hanukkah that enumerates laws concerning the candle lighting during the days of the feast. This piyyut is attributed in Genizah manuscripts to the celebrated poet El’azar Birabi Qilir, who lived in the Galilee in the early seventh century, although it appears as well in a composition by the mid-eight century poet, Pinhas Hakohen from Kifra (a suburb of Tiberias). At any rate, we thought that this piyyut would give us an opportunity to hold our first ever Talmud Blog Quiz. Readers are encouraged to decipher the poem: Namely, to explain which laws it alludes to and cite texts that support their answers in the comments section of the blog. When the last day of Hannukah arrives we will post the “correct” answers and respond to your suggestions. Were Hillel and Shamai brothers? It is about time that our learned persons should know that the common way to settle contradictions between payytanic and rabbinic texts is not a scientific one, and at any rate it is unacceptable in regard to the piyyutim in the Cairo Genizah. The naive assumption is that the entire corpus of Jewish texts was fully preserved and that any source that does not agree with the canonical sources is mistaken or the illusion of the author. Why didn’t the Patriarchs receive the Torah? Such blames continued to be rephrased in piyyutim for Shavuot in the High Middle Ages in the East as well in the West and it is undoubtedly a striking example of the boldness of these poets. Interestingly, many of the piyyutim that criticize the patriarchs were censored in medieval manuscripts. For many years it was assumed that the censorship was due to the discomfort of medieval Jewish sages who did not want to defame the patriarchs. More than a decade ago, I suggested that they were censored because contemporary Christian apologists attacked the (Jewish) patriarchs by using similar claims to the ones found in the piyyutim. The article was published in Tarbiz 70 (2001): 637-644 and can be downloaded here. 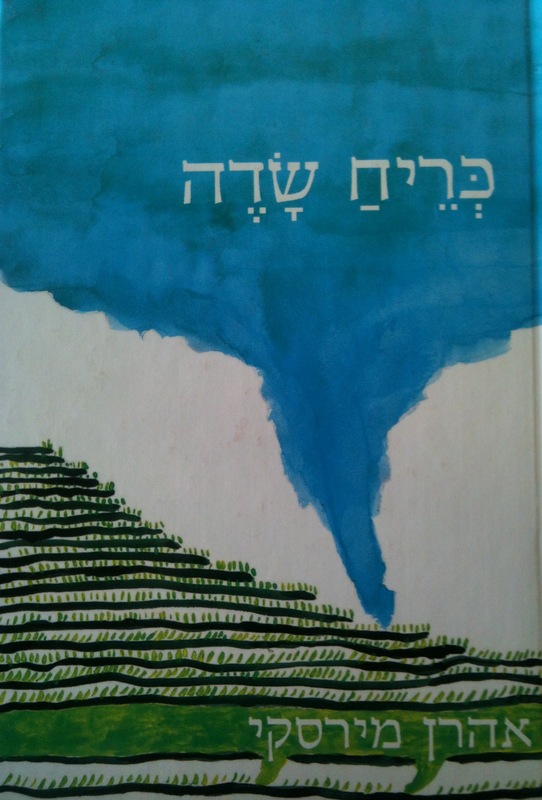 On a parting note, for those of you who would like to delve into the piyyutim of El’azar birabi Qilir for Shavuot I highly recommend Shulamit Elizur‘s critical edition published by Mekizei Nirdamim in 2000; in her introduction Elizur discusses – among other things – the piyyutim that were presented in this post. And until next time, wishing all celebrants a wonderful holiday of Torah study, milk and honey. Shed the brightness of day on the darkness of the night. I knew in the dream the dream like a dream will not fade. I knew in the dream the dream tens of thousands dream in me. I woke up. Midnight. Who sheds the brightness of the day in the darkness of the night. And the sun stands still in the window in the dream as it did at Gibeon, I remember. And the eternal day comes at midnight. And it shall no more dusk. And the morning becomes gold. I woke up. Behold, behold in front of me, Jerusalem. The poem opens with the dream of a speaker who wakes up at midnight. Interestingly, the midnight in the poem corresponds directly to the list of midnight miracles in the Piyyut. Gilboa fuses the language of his poem with that of the Piyyut; for examples the line ‘מי מאיר כאור יום חשכת לילה’ in the poem is a reworking of the payytanic verse ‘תאיר כאור יום חשכת לילה’, and similarly the line ‘הנה הנה קרב הלילה אשר הוא יום ולא לילה’ corrospondes to ‘קרב יום אשר הוא לא יום ולא לילה’. It is worth mentioning that in both cases we witness a process of secularization of the payytanic text; in the first example Gilboa wonders who is the one who performs the miracle and in the second he omits the appeal to God for salvation. Interestingly enough, Gilboa adds to the list of midnight salvations in the Piyyut another biblical scene that is not mentioned in the latter – the story about the battle of Joshua as narrated in Judges chapter 10. But like Yannai who concludes the Piyyut with Jerusalem ‘שומרים הפקד לעירך כל היום וכל הלילה’, itself a biblical allusion to Isa. 62:6), Gilboa too ends the dream sequence with the sacred city. This poem is but one example of Gilboa’s impressive use of Piyyut in his poetry and there are many more. Before Yom Kippur – in exactly half a year – I plan to discuss another poem by Gilboa that correspondes to a famous Piyyut from the liturgy of the day that opens אכן מה נהדר היה מראה כהן (Indeed how splendid was the vision of the High Priest). Until then have an inspiring holidays or at the very least a wonderful spring. The four new years are: On the first of Nisan, the new year for the kings and for the festivals; On the first of Elul, the new year for the tithing of animals… On the first of Tishrei, the new year for years, for the Sabbatical years and for the Jubilee years and for the planting and for the vegetables. On the first of Shevat, the new year for the trees, these are the words of the House of Shammai; The House of Hillel says, on the fifteenth thereof. As can be seen there was a dispute between בית שמאי (House/School of Shammai) and בית הלל (House/School of Hillel) concerning the exact date of the new year of the trees. Ultimately (and not surprisingly) the date was set according to the latter. In practice, Tu Bishvat remained a marginal date in the Jewish calendar throughout the Middle Ages. It became gradually more prominent from the beginning of the early modern period, especially in mystical circles and reached its heyday in modern Israel, where it is celebrated widely and quite lavishly. It would be superfluous to provide here a full English translation of the poem but I would like to touch upon its main themes. Mirsky takes here quite seriously the notion of the new year of the trees and compares it to Rosh Hashana, the celebration of the New Year at the beginning of the Jewish High holidays. Since Rosh Hashana is considered to be the judgment day for all human beings, so – according to Mirsky – Tu Bishvat must be the judgment day of the trees and plants. But what does this mean? Mirsky draws here on the famous late antique piyyut for Rosh Hashana (and subsequently Yom Kippur) – ונתנה תוקף קדושת היום (and we shall proclaim the greatness of the day). A famous line in the piyyut reads: בראש השנה יכתבון / וביום צום כיפור יחתמון (On Rosh Hashanah will be inscribed and on Yom Kippur will be sealed), namely that the people’s judgement will begin on Rosh Hashana and end on Yom Kippur. Similarly, according to Mirsky, the trees and flowers in the garden will be judged. Then Mirsky draws on another famous part of the piyyut in which the poet enumerates those who will die during the coming year: …מי יחיה ומי ימות / מי בקיצו ומי לא בקיצו / מי במים ומי באש / מי בחרב ומי בחיה (Who will live and who will die; who will die at his predestined time and who before his time; who by water and who by fire, who by sword, who by beast…). This terrifying litany (which also stands behind Leonard Cohen‘s Who by Fire) is echoed in Mirsky’s poem as well, for example: מי עוד יוסיף לפרוח כאן / ומי גזעו יקמול (who will continue to grow here / who his trunk will wither); מי יטרף בידי עלעול / בבוא ימי הסתיו (who will be devoured by stormy wind [עלעול] in the autumn). 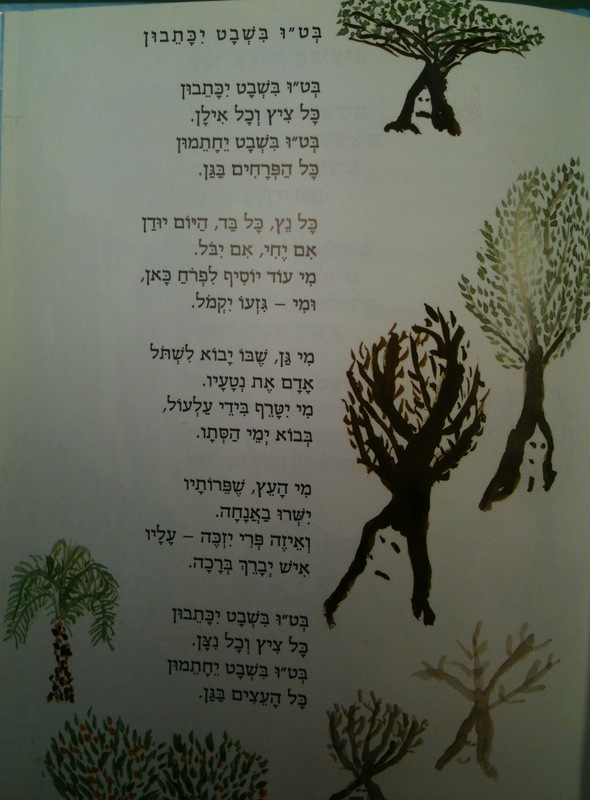 This playful children song does not seem to call for an extension of Jewish theology to the realm of flora but it does bring together brilliantly ancient piyyut and modern Hebrew poetry. I have no doubt that many kindergarten and elementary school teachers could use it in class in order to develop discussions concerning Tu Bishvat in particular and enviormental issues in general. The third and last (albeit slightly belated) installment of the series on Hanukkah and Piyyut (Part 1, Part 2). And concerning your question about the Hanukkot (Heb. inaugurations); we have heard about them in the Haggadah and the payytanim enumerated seven of them: the inauguration of heaven and earth after the six days of creation, and the inauguration of the alter in the days of Moses, and the inauguration by David… and the inauguration in the days of Solomon, and the inauguration in the days of Ezra, and the inauguration in the days of Matityahu son of Yohanan – these are six, and the seventh will take place in the future (i.e., with the coming of the Messiah)”. But those who count the one who built a new house, how can they know how many there were? But it must be said that the inauguration of a new house is called like a Mitzvah (= a religious law), and its name is celebration of the house, and it is not one of the public Hanukkot. And the inauguration of the idol, how come [one associates the inauguration] of Avodah Zara (=idol worship) with that of the house of the Lord that hopefully will be built in our days, amen. There are several intriguing elements in this reply; first, it is curious that someone addressed Rav Hai with a question concerning the proper count of the Hanukkot. Usually, the Geonim received questions concerning laws and related religious practices. We learn then, that for some, the proper count of the seven inaugurations was meaningful. In fact, from the reply by Rav Hai we learn that it was a matter of dispute, a point to which I shall come back to shortly. Second, we should pay attention to the list itself; it consists of several “historical” Hanukkot: that of the Tabernacle (the altar in the days of Moses), of Solomon’s (first) temple, of the second temple in the days of Ezra, and finally the one in the days of the Maccabees. To this list of four Hanukkot Rav Hai adds one by David, based on Psalms 30:1 “A Psalm of David, A Song at the dedication of the Temple,” and a metaphorical one – the creation of the universe. Finally, Rav Hai mentions the seventh Hanukkah of the future (third) temple. After Rav Hai concludes the list we encounter the third intriguing fact. It turns out that Rav Hai is familiar with an alternative count that adds ‘the building of a new house’; truly, it is not quite clear what Rav Hai means here, and his explanation is even vaguer. At any rate, we realize now that the question concerning the proper count was in place. The last sentence of the response probably contains the most intriguing detail; it seems that Hai Gaon had heard of a custom to count among the seven Hanukkot an inauguration of some sort of a idol-worshiping place. Who might be the person or community that would do that? Some sort of a Christian sect? Karaites? Other non-rabbinic Jews? Muslims? I must admit that in this regard we are in the dark. At this point, I’m sure many of you may be asking- “but what does Piyyut have to do with all of this? !” Well, as far as we know, the tradition of the seven Hanukkot emerged from the poetry of our beloved Elazar Birabi Qilir of seventh century Palestine! In several of his piyyutim for Hanukka the Qiliri elaborates quite lavishly on the seven Hanukkot. The typology of the seven inauguration makes perfect sense; it brings together six occurrences in the past, in which a sacred place was either created or rebuilt and it connects the past with the messianic hope for the completion of the series in the world to come. The inclusion of the Hanukkah of the Maccabees among these Hanukkot fits perfectly into the liturgy of the feast of Hanukkah. It is worthwhile mentioning that the list of seven Hanukkot appears also in the ninth century Pesiqta Rabbati. Interestingly enough, the list in this Midrash differs from the list known from the piyyutim of the Qiliri. Perhaps even more revealing is the fact that the list brought by Rav Hai is similar to that of the Qiliri. It would seem then, that the case of the seven Hanukkot is yet another example of the rich and complex relationships within the polysystem of Hebrew literature in Late Antiquity and the Early Middle Ages. In the first part of this series I discussed an intriguing “historical” tradition in a piyyut by Elazar Birabi Qilir. In this second part I turn to an interesting juxtaposition of the cosmos and the Tabernacle in another piyyut for Hanukkah by the Qiliri. The basic premise of the section is that without the Tabernacle the creation is not complete, or, in other words, that the construction of the Tabernacle is the final stage of creation. This idea is expressed in a very clear fashion in midrash Pesiqtah de Rav Kahana (5th/6th century), which indicates that “until the Tabernacle was set up, the earth was unstable. After the Tabernacle was set up, the earth became stable.”(1:4) The specific details of the comparison between the cosmos and the Tabernacle (included here only in part) are similar to many found in Philo, Josephus, in a few rabbinic sources and also in the piyyut by Yannai. It is crucial, though, to stress that the comprehensive list appears for the first time ever in this poem by the Qiliri. Interestingly enough, a similar list is known from the medieval Midrash Numbers Rabbah that is associated with Moshe Hadarshan (Heb. “Moses the Preacher”), the eleventh-century composer and compiler of midrashic literature. This specific piyyut by the Qiliri was known in the days of Moshe Hadarshan and it probably influenced this medieval midrashic composition. Narsai bases his poem on a longstanding exegetical tradition within Syriac Christianity, and narrates for his audience the many resemblances between the cosmos and the Tabernacle, which also represents the Church. In the sixth century, Jacob of Serugh, another prominent Syriac poet, elaborated further on the consequences of the cosmos-Tabernacle relationships. Indeed, the relations between Jewish and Christian liturgical poetry have become a hot issue among scholars recently and I promise to enlarge upon it in the blog in the near future. Until then, don’t forget to look for the third and final part of this Talmud Blog series on Hanukkah and Piyyut. Hanukkah begins today and since I have been working for some years now on Hebrew liturgical poems for this feast, I thought it would be nice to share with the readers of the Talmud Blog some interesting bits and pieces of these verse compositions. Here is the first installment. Late antique piyyutim for Passover elaborate on the Exodus, those for Shavuoth on the giving of the Torah at Sinai, those for Purim on the story of Esther and Mordecai, and those for Hanukkah… on the inauguration of the Tabernacle! Neither the Maccabees, nor the Seleucians are mentioned; rather, one finds lengthy descriptions of the desert dwelling and the sacrifices that were brought on the occasion of its inauguration. Why is this so? Simply put, the piyyutim follow the liturgy, and since the reading of the Torah during Hanukkah focuses on the inauguration of the Tabernacle as narrated in the book of Numbers, the poets followed that lead. It is no coincidence, of course, that this biblical episode is read at the synagogue. 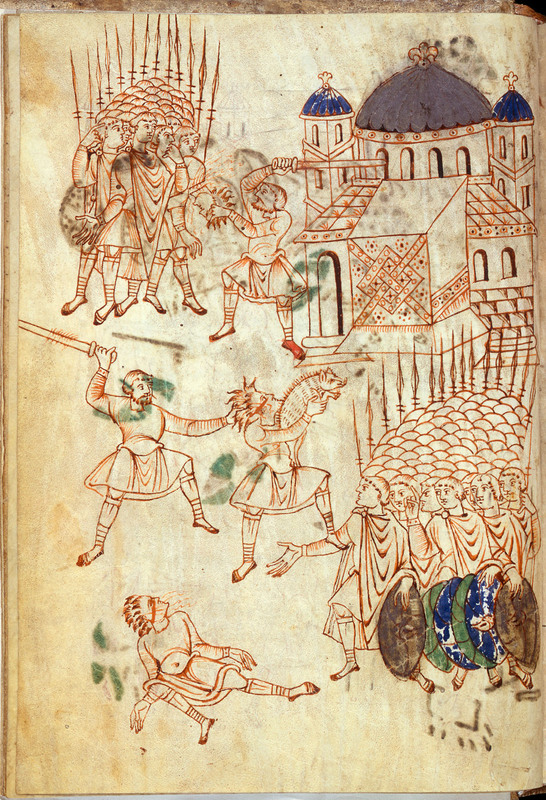 In the absence of a canonical book that relates the Hasmonean revolt, the rabbis and the payytanim chose the closest biblical episode to the historical event that they could find. Indeed, once the so-called Scroll of Antiochus (מגילת אנטיוכוס) was introduced to Jewish culture in the early Gaonic period, the piyyutim were filled with “historical” description of the battles of the Hasmonean agains Antiochus Epiphanies. According to the Qilir, the Maccabees were part of the priestly division called Immer that dwelled in a village called Yavnit (יבנית). Already in the Bible the Israelite priests were said to be divided into twenty four divisions, Immer being one of them. Interestingly, according to Josephus (and other historical sources) the Maccabees belonged, in fact, to the Yehoyariv order that was located in Judaea. But as was mentioned above the order of Immer dwelled in the Galilee. So now we can begin to appreciate the finesse of the Qiliri: the name of the village is pronounced almost the same as the Hebrew adjective for Greek (יוונית), and the Qiliri brilliantly plays on this similarity in the last verse quoted above. But this complicates things for the Qiliri, geographically-wise. If the Maccabees dwelled in the Galilee surely they had to rush all the way to Modi’in, which is located in Judaea, and of course soon thereafter to rush back north in order to bring back the happy news to their Galilean hometown. It is, moreover, evident from what has been said, that it is not the function of the poet to relate what has happened, but what may happen, what is possible according to the law of probability or necessity. The poet and the historian differ not by writing in verse or in prose. The work of Herodotus might be put into verse, and it would still be a species of history, with meter no less than without it. The true difference is that one relates what has happened, the other what may happen. Poetry, therefore, is a more philosophical and a higher thing than history: for poetry tends to express the universal, history the particular. So who do you prefer – Josephus or Elazar Birabi Qilir? Archeological sites in Israel feature signs that explain the findings and elaborate on their historical context. Many of these signs quote texts that are relevant to the site in most cases from the Bible and rabbinic literature. To my joy, while hiking in the ancient synagogue at Arbel in the Galilee last week, I came across the following sign that quotes from a liturgical poem by Elazar Birabi Qilir, one of the prominent payytanim of the late ancient school of Hebrew liturgical poetry. The first thing that drew my attention was the partial defacement of the sign; while I could not explain the erasure of the ר from the word הקליר, the damage to the acronym לסה”נ (literally, according to the Christian calendar) suggests that someone thought that it is improper to mention the Christian calendar in the context of an ancient synagogue. Such a purist practice is not unusual in some nationalistic circles, which reminded me the outrageous phenomenon of defacing Arabic names from street and highways signs around the country (but this is a matter for another post on another blog). 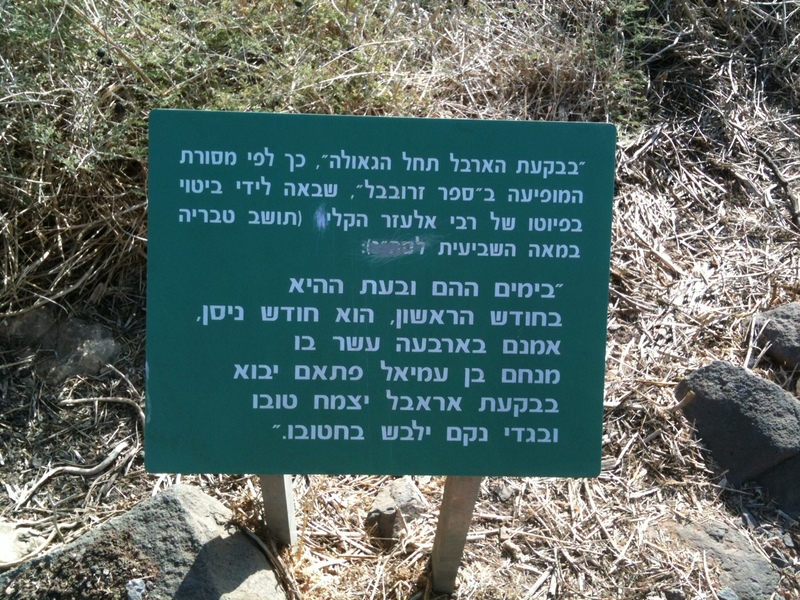 But then I noticed another thing; according to the sign the Qiliri was a resident of Tiberias in the seventh century. That the Qiliri lived during the seventh century can be deduced with reasonable certainty from his mention of the Muslim conquest of Palestine in that century. However the only clue we have concerning his hometown is the ambiguous mention of קרית ספר in the acrostic of several of his poems. קרית ספר, to be sure, is mentioned in the Bible (Joshua 15:15) as the ancient name of דביר in the southern part of the country (not to be confused with the modern ultra orthodox west-bank settlement מודיעין עילית, also known as קרית ספר). At any rate scholars agree that קרית ספר is a generic name for a central Jewish town in late antique Palestine. It is true that Tiberias falls under that category but other places qualify as well – most notably Sepphoris – and in fact it was suggested by several scholars (including the late Ezra Fleischer) that the latter was the hometown of the Qiliri. It was a real pleasure to find a mention of the Qiliri at this ancient synagogue but it would have been nicer if the Israeli Nature and Parks Authority would be more modest in its attempts to revive the past.